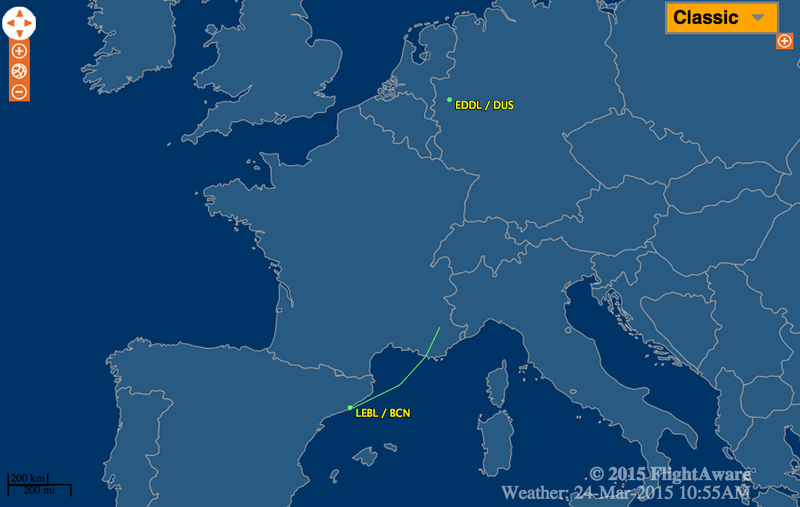 24 March 2015; Germanwings A320-200; D-AIPX; flight 4U9525; near Barcelonnette, France: The aircraft was on a scheduled international flight from Barcelona, Spain to Düsseldorf, Germany. About a half hour after takeoff, while at a cruising altitude of 38,000 feet, the aircraft began losing altitude, and crashed about ten minutes later. All six crew members and 142 passengers were killed.